The Sun is only one of the stars in the Galaxy. 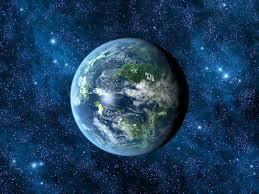 There are billions of them out there and almost every one of them have their own planets. Just think about it. The greatest discovery of this generation will not be Apple or Facebook but finding extraterrestrial humans. The galaxy closest to ours is called Andromeda. This initiative also tell us how limited our lives and human capacity to explore extraterrestrial world. The religions talks a lot about extraterrestrial life and intelligence. Even while we explore this remember the fact the we have a mission and purpose in life to fulfill in life on this earth. Our heart beats about 100,000 times every day, pumping blood to every cell in our bodies. This adds up to about 35 million beats a year and 2.5 billion beats in an average lifetime. This is one of the wonders we are part of every second in our life. Medical science tells us that every contraction is similar to the effort it would take for us to hold a tennis ball in our palm and give it a good hard squeeze. Once one of my friends said even though he is holding at the end of a rope he is not at the end of hope. Jeremiah talks about hope (Jer: 29:11) For I know the plans I have for you, declares the Lord, plans for welfare and not for evil, to give you a future and a hope. Hope is greatly important to our mental, emotional, spiritual, and physical health. People without hope in lives are destined to be miserable and depressed, feeling as if they are locked in the prison of their past. To get out of that prison and be free to move ahead into a more promising future, they need a key and that key is hope. No matter how hopeless your situation seems to be or how long it has been that way, I know that we can change. Psalms say: “Be to me a rock of refuge, to which I may continually come; you have given the command to save me, for you are my rock and my fortress” (Ps. 71:3). One of the recent wonder for me came from NASA’s Orion mission called humanities presence beyond earth. The Orion a spacecraft which successfully completed traveling of 3600 miles and returning to earth at 20,000 miles per hour which reached the upper limits of earth’s atmosphere, generating heat as it passes through at the hottest period of its return to earth’s atmosphere with around 4,000 degrees Fahrenheit (2,200 degrees Celsius). Yes I cannot even imagine what kind of heat is that and what kind of speed is that? I can understand 100 degree Celsius (which the water boils to make my tea) and 70 or 75 miles speed I drive in the US roads, but no way I can comprehend 20,000 miles per hour with 4000 degree Fahrenheit. In the middle of all what happens around us we are invited to have hope for our future because the key to our future is hope. Hope is the pillar that holds the world. Hope is the unfulfilled dream. The capacity for hope is the most significant aspect in life. It helps people with the sense of destination and the energy to get started. One of the greatest hymns of all time, Rock of Ages packs deep spiritual truths in its short stanzas. The Rock of Ages is, of course, Jesus Christ, the One who was cleft for us on the cross. He was pierced for our transgressions and by His stripes we are healed. To Him alone we must go for salvation. This is our Christian hope.